What if Jesus, in our eyes and our view of applying faith, was not just an icon, but rather a model? What if His way of life was not an unattainable way but the normal way? What if the bible backs up the latter? I believe that Jesus was a model for what Christian normalcy was to become, while still being God and still exhibiting the likeness of sinful flesh. Therefore the template for how we are supposed to think, pray and act has been laid out, which makes what we believe about His manor of living very important to the Kingdom of God on earth. ~That’s right, the glorious riches of a mystery withheld for centuries is now commonly understood because of Christ residing in us. If Christ is within us then we can indeed cultivate the character of Christ. 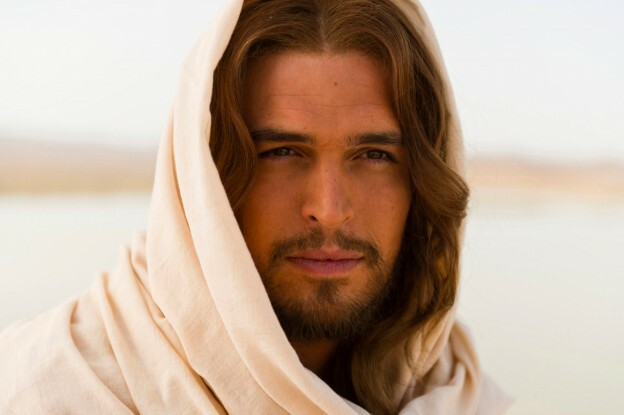 Posted in Impressions, Spiritual Insights, Theology & Scriptural Commentary and tagged gospel, jesus, prototype on January 28, 2015 by joesharp. 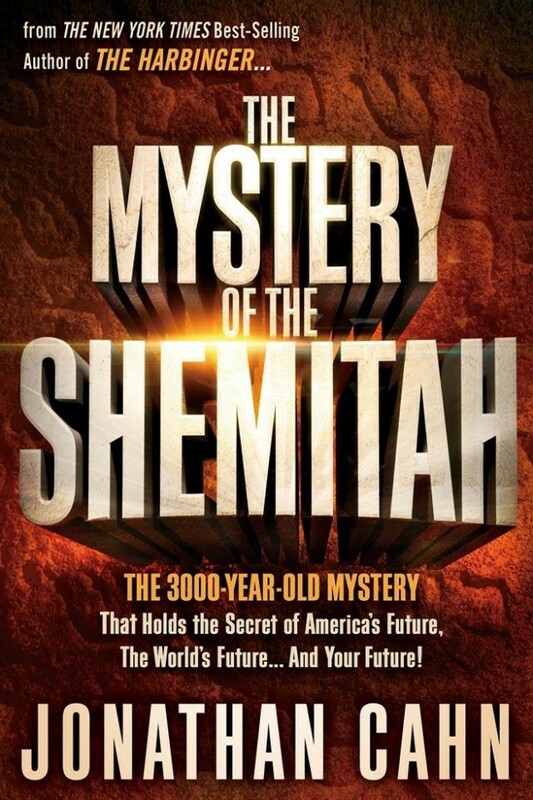 The 3,000-Year-Old Mystery That Holds the Secret of America’s Future, The World’s Future…And Your Future! The dramatic sequel to The Harbinger does not disappoint with its thrilling historical findings and futuristic predictions. 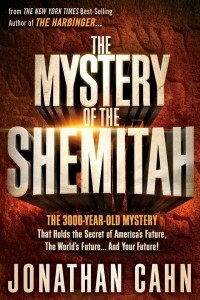 Reminiscent of David Wilkerson’s “The Vision,” yet not as unflinching in its theme, the Mystery of the Shemitah is an important read for every Christian interested in “end time watchfulness.” Cahn is careful to not make claims or manufacture future dates of reckoning, but he does awaken the reader to an ancient system of ‘remission’ that is amply backed up with evidence in the form of figures and statistics! Just like its predecessor, The Mystery of the Shemitah contains the type of content that makes it impossible to put down. Anyone with a heart for their country and the discernment to realize the season would find it invaluable. In this book Cahn ably clarifies the latent Hebraic secret that just could be the key to the years that lie immediately ahead for humankind. Posted in Book Reviews, Spiritual Insights and tagged book review, jonathan cahn, Shemitah on January 23, 2015 by joesharp. 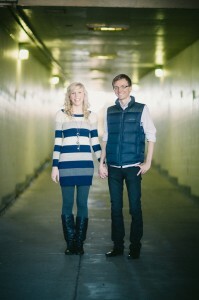 Personal friends of Live With Purpose Coaching, Steve and Kristen Charman, are headed to Peru in February, bringing the light of the Gospel of Jesus along with them! Steve and Kristen, Sydney area (Australia) natives, will embark on a 10 day Missions & Crusades trip to Peru with evangelists Jerame and Miranda Nelson and Jim and Kathy Drown. By day the group will be equipping local churches through conferences and ministering to orphans, the poor, and those in prison. By night they will be praying for the sick and inviting anyone and everyone to commit their lives to Jesus. How you can help – With a goal of raising $5,000, the Charmans have a long way to go to fund their trip. Please consider interceding for the trip and/or donating here. Rest assured that every cent donated will go toward the trip. 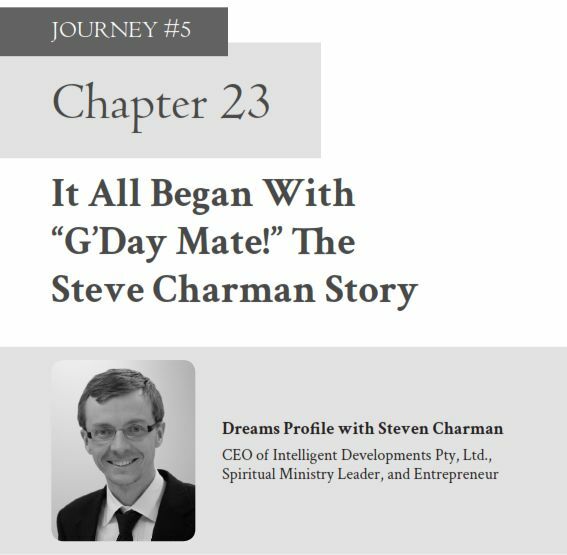 You can learn more about the Charmans, this trip and the Miracle Crusades Ministry here. If you have any other questions, please email us at info@livewithpurposecoaching.com or call us at (717) 283-2377. Posted in Dreams, Spiritual Insights, Travel Blessings and tagged charman, donate, missionary trips, Missions, prayer on January 22, 2015 by joesharp. There are many tools that we leverage here at Live With Purpose Coaching, LLC, each with a different particular purpose but all fashioned to draw out God-given talent, creativity, passion, efficiency, and other sound business-minded and God-centric characteristics. One of our most utilized tools and one that is a favorite among our clients is ‘Building Your Heaven Bound Legacy,‘ part of our ‘Through Spirit Led Action’ tool suite. 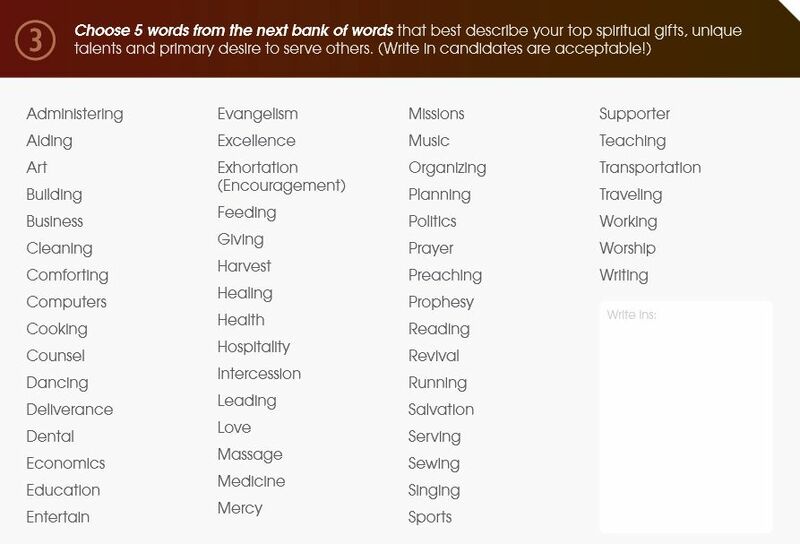 This tool is designed to help you hone into how it is that you’re wired as a person: your spiritual gifts, who it is that you’re called to, what it is you’re called to do, and why you’re called to do it. We’ve found that without intentionally examining ourselves before God, most of us cannot produce a ‘life legacy statement’ or life mission when asked. That’s where this tool becomes beneficial. Of course, this goes well beyond the white collar world and the causes and effects of business, as do all of our tools. This has to do with purpose that’s intrinsic to our nature, having been formed in the likeness of our Creator. Consequently, we count our legacy as proposed by God to be primary and our ability and resources as businesspeople secondary. Posted in Business, Business Tools, Entrepreneurs, Spiritual Insights and tagged business, coaching, heaven bound legacy, tool on January 20, 2015 by joesharp. The “reason for the season” is much much more than a fairy tale or, as Karl puts it nicely, [see below] a “feel good tradition.” This is the greatest love story that has ever been told. It’s timeless and hopeful. It’s the best news out there and it’s not exclusive. It doesn’t discriminate or keep a tally of past offenses, it doesn’t look to impose it’s will or prove that it’s right. This ‘thing’ that we as Christians rally around every December is actually a person. It’s Jesus, or Emmanuel, which means ‘God is with us.’ He reunited us with our Creator and made us clean in His sight. The prospect of being righteous and holy in the eyes of our Father is now a reality if we choose to make it real in our lives. If you haven’t already, take a step of faith this Christmas and seek to know Him who was crucified. Not just to have knowledge about Him, but to actually know Him, to be accustomed to His ways. If you’ve never invited Him into your life please consider doing so in your own words. If the time is right and you’re ready for freedom, ask that He forgive you of your sins and to take over the reins of your life. If you have particular questions about Christmas or Christ, we’d be happy to talk to you. Just Email us! 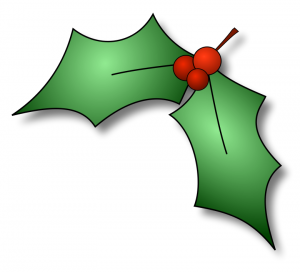 Posted in Health/Well-being, Spiritual Insights and tagged christmas, coaching, jesus on December 22, 2014 by joesharp. Well written? Yes. Bold? Certainly. Worthy of consideration? Sure. Biblically sound? No, unfortunately. There is a zeal so evident in Bell’s words that I can’t help but respect him, but the assertions he makes about two very finite and opposite places and fates in this best-seller are unnerving. 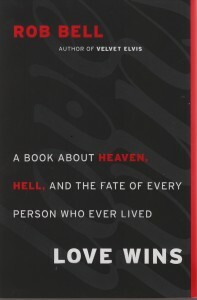 Bell has always asked very valuable questions for the church to address, and this compilation of questions is no different, but the question of heaven and hell needs to be answered differently. 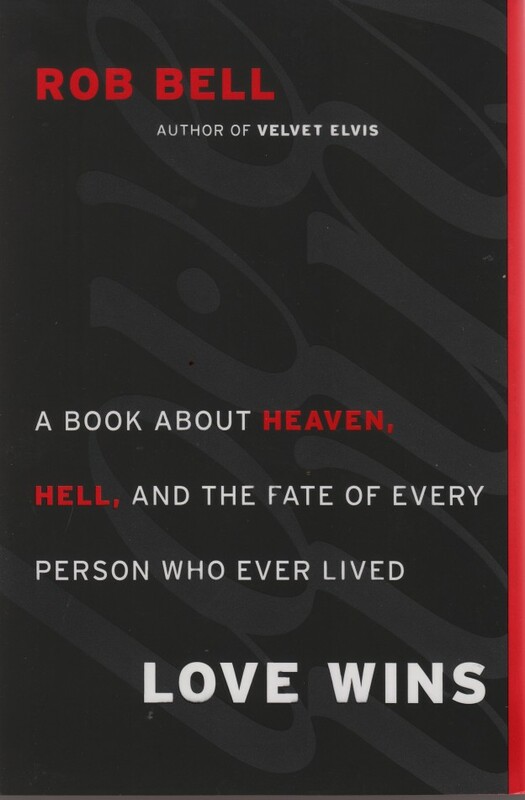 It’s my assessment, that although Bell doesn’t fully commit to any viewpoint, (which is another problem I have with this book) his notion that hell is almost satisfactory is fundamentally wrong, if we’re using the Bible as our guide. Bell’s works (I’ve read several others) have all leaned dangerously toward the hyper-grace segment of the spectrum and this book teeters over the edge by challenging black & white truth. Beside the theological dilemma that the book essentially hangs its hat on, it’s very nicely written with dozens of very relevant questions that the church must ponder; things that are unmistakably Rob Bell. Bell has never had a problem seeming relevant, but this book justifies my concern that in his world relevance takes the place of reality. Posted in Book Reviews, Spiritual Insights and tagged heaven and hell, love wins, rob bell on December 17, 2014 by joesharp.